By the end of the firing, everyone ends up so very tired. This is the last night. We’re just working on maintaining temp, especially in the back of the kiln. We’ve dropped cone 13 in the front, and it looks like cone 13 in the far back might be soft. It’s hard to tell, since cone 12 reacts to the ash or something, and doesn’t melt like it should. 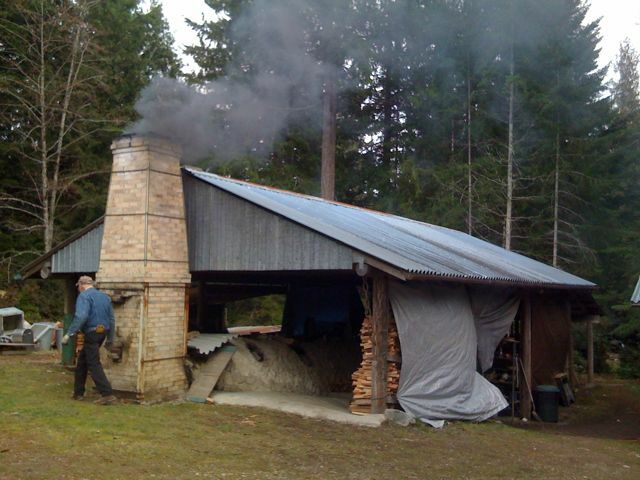 Tomorrow morning, we’ll mud up the kiln, and reduce cool it for a few hours. That will probably start in about seven hours. 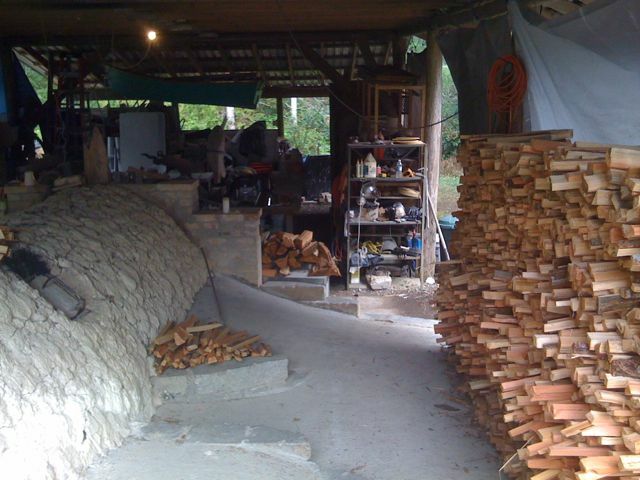 Here’s a photo of the wood at the start of the firing, and how it is now. 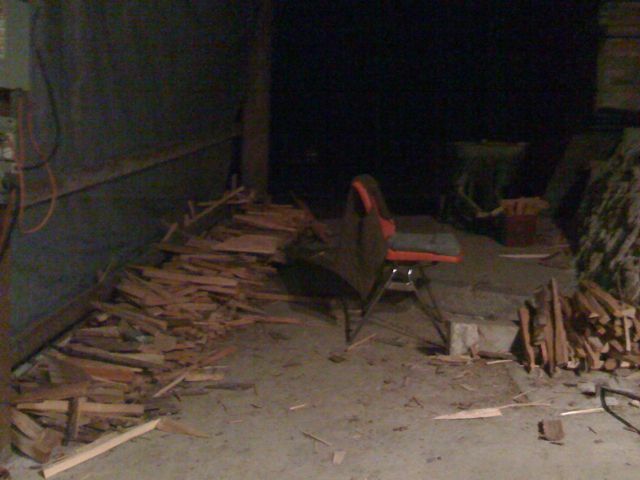 We got a whole brand new cord of wood that’s unstacked in the “after” photo. 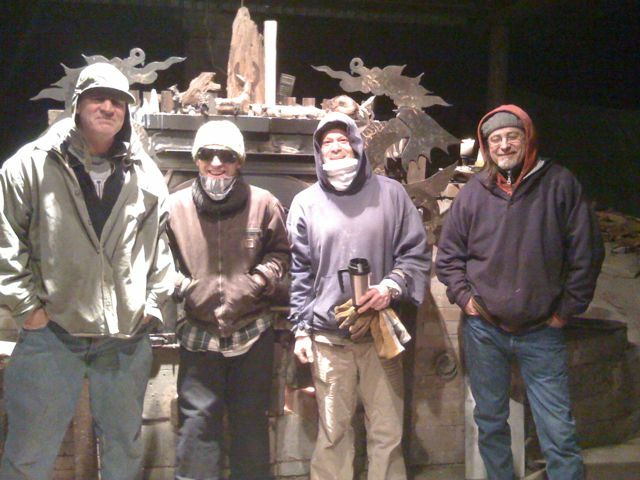 The other photo is of the night crew. They’re good folks. *spent the day fighting to get the back temp up. Fairly standard for day three. Front was in the 2300s, but the back was back to the 2100s. 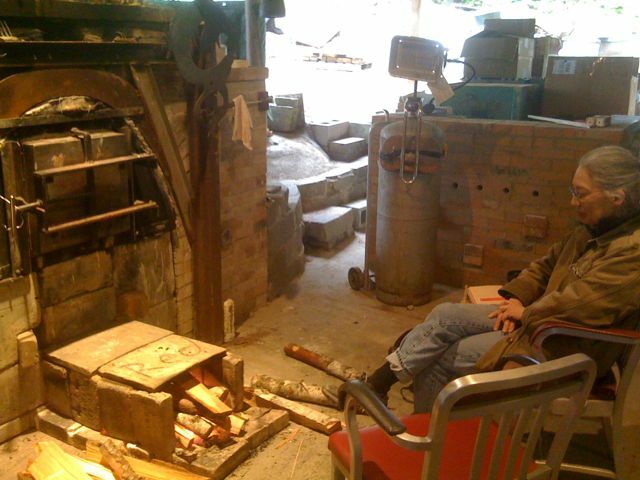 *Teabowls were pulled from the front of the kiln in a sort of high temperature raku. Lots of folks came to watch. *Got to see two of those noisy barred owls fly right past me. Awesome. The firing is going along smoothly. 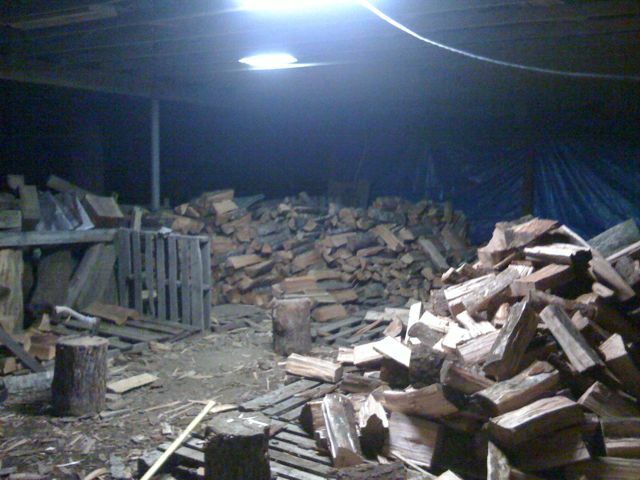 Yesterday evening, we had a bunch of trouble with wet wood. Between noon and 6pm we just hung out between 800 and 900f, fighting to try and get it to rise. 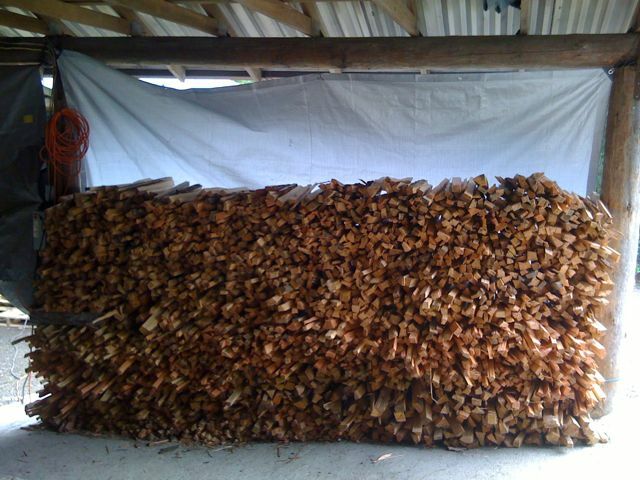 However, we found some dry stuff eventually (under the cords of wet wood we’d stacked infront of it on Saturday) and got the temp up to 1300 in a couple hours. Since then thing have been going smoothly. 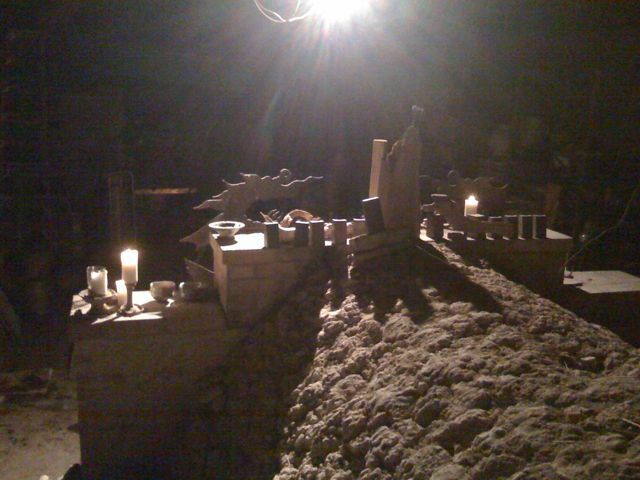 They did body reduction during the graveyard shift – putting the kiln into heavy reduction to pull iron oxide (and others) to the surface of the pots. 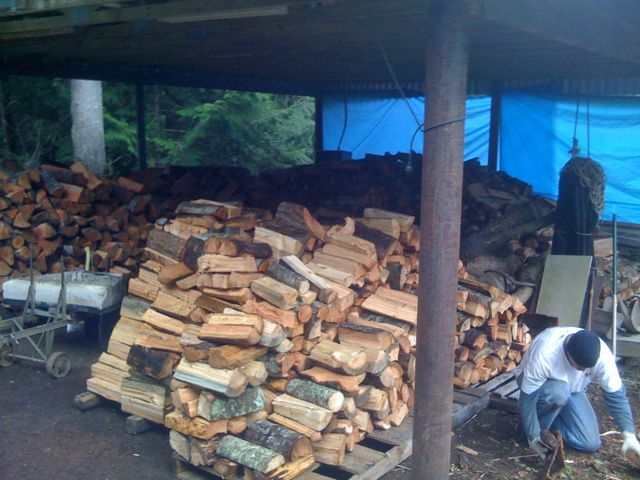 They also started side stoking today, so there’s more to do. Luckly we’re well set for side wood for now! 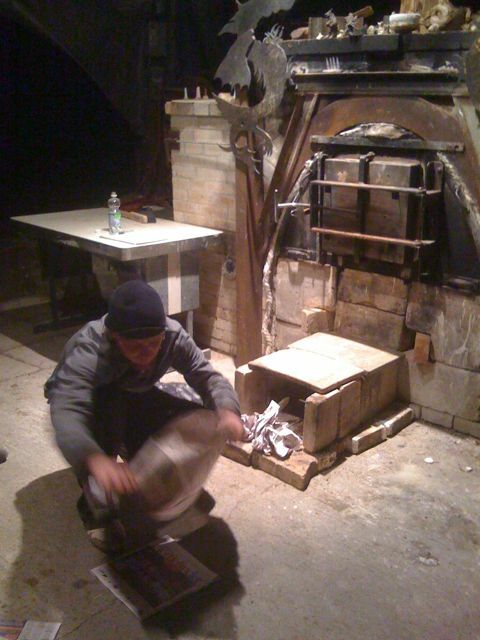 We lit the kiln at about 9pm last night, with the loading wrapping up smoothly. We keep the temp to a rise of 50 degrees an hour for the first 1500 degrees or so, which can be tricky. The kiln will want to take off at first. 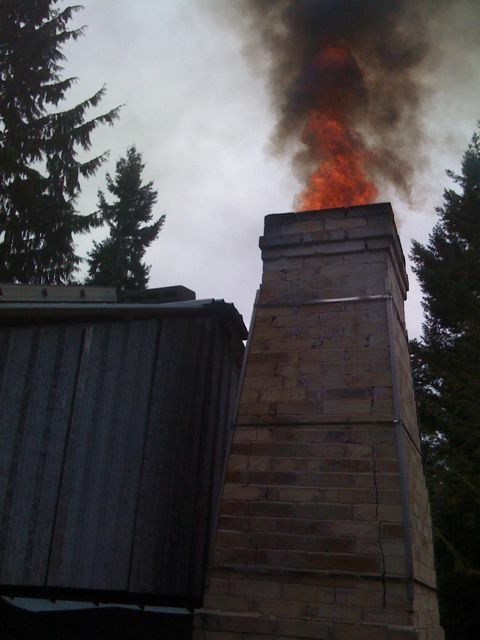 At this point the fire is outside the front of the kiln, with the flames being pulled up through the kiln. This also useful to keep warm!! It gets cold up here! 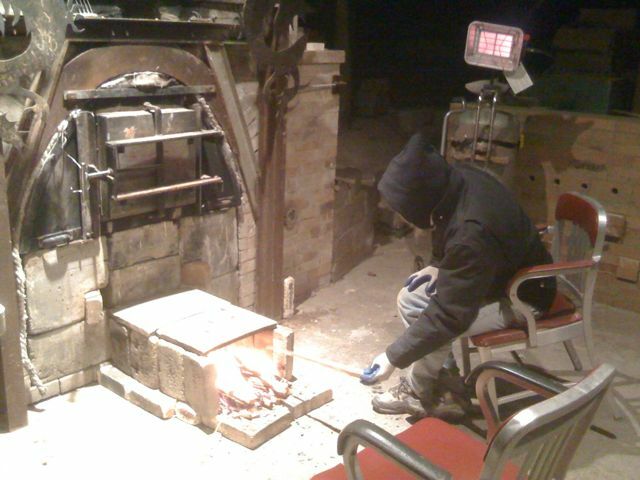 However tomorrow night will be the cold one – the fire will be inside the kiln, but the kiln won’t be hot enough to give off radient heat yet. The kiln is a giant physical mass of bricks, and it will take a lot of time and a lot of heat to get those suckers warm. 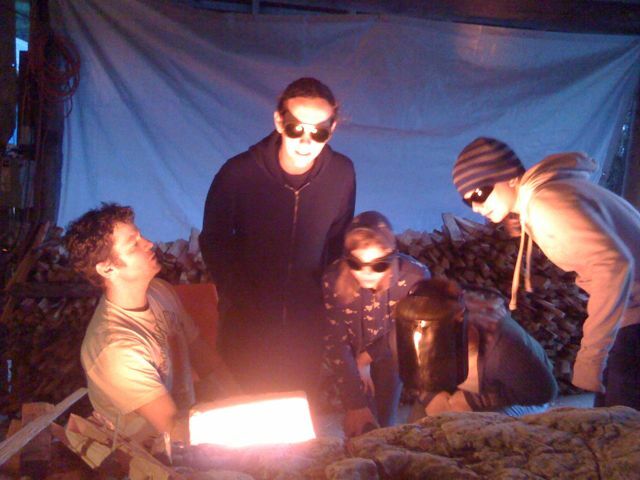 I have a photo of Anthony lighting the fire, and of Rick feeding it, last night at 300f. The next photo is Beverly, this morning at about 800f.